Working with great friends is such a joy (and a bit of pressure. the pressure is all self-induced, I assure you). The most wonderful part about it is that my tribe is really relaxed around me. They’ll joke and play and input their own ideas about a shot, without first thinking about first impressions. 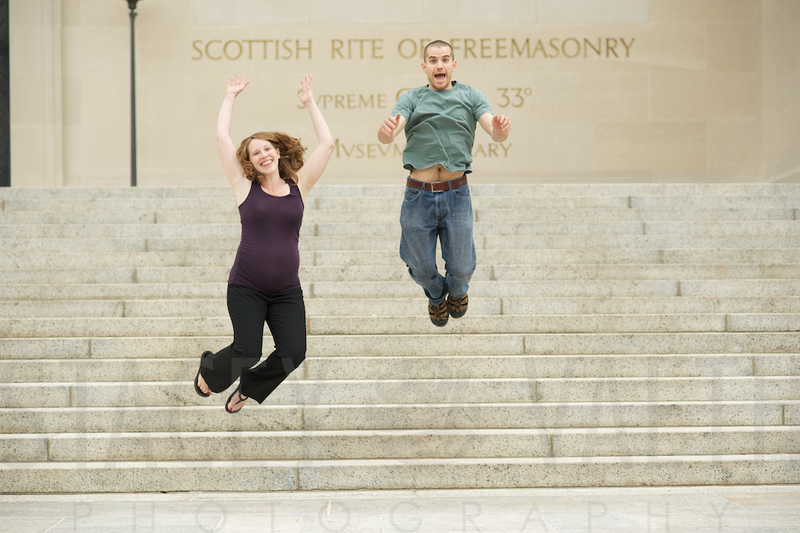 Hence this hilarious and beautiful maternity session with my best friends Erin and Adam. Okay, despite creative ideas, I admit that I was a bit nervous that passerby’s would think I was making one of my clients do this!! But oh, how hilarious. 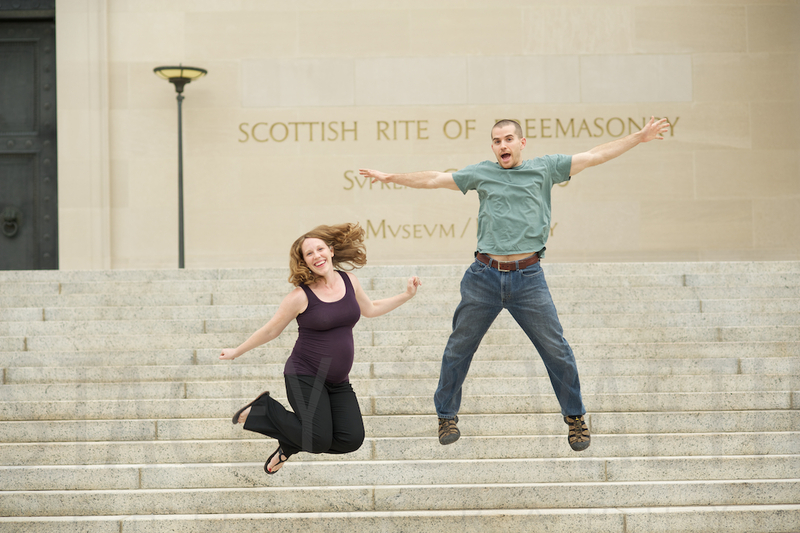 And how fitting for these two goofy, fun and light people. Such a cute, urban couple. 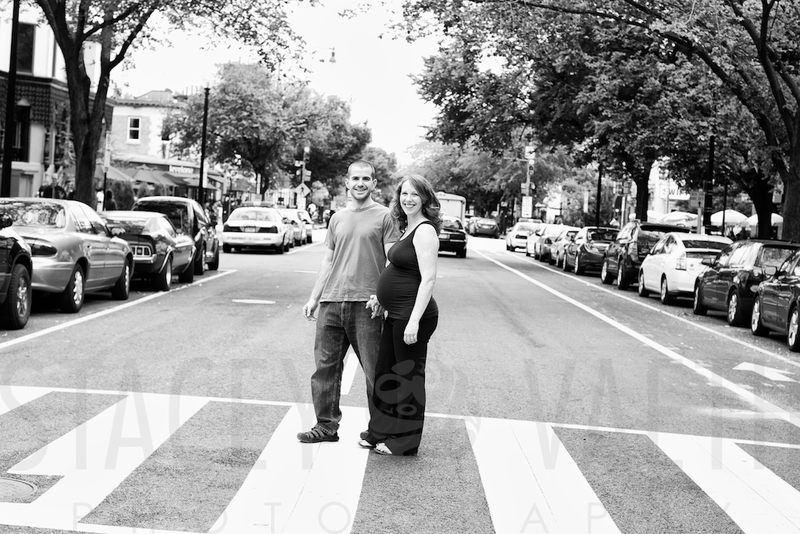 Erin and I actually met on the street outside of Foggy Bottom Metro seven years ago. She’s my best friend now, and I’ll be there for the birth of her first child (did you hear that Erin? First…that means there may be more :). Introducing myself to her may the best sentence I have ever uttered….next to “I do”. 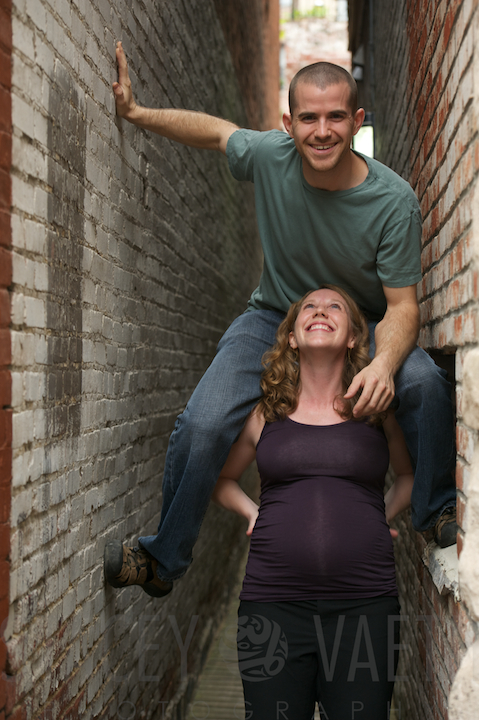 I totally would never ask any one of my maternity couples to JUMP – but, well, there you go. Just six weeks to go – OH MY!